The Tata Memorial Centre (TMC), Is Appointing Eligible People To The 8 Various Posts. So Interested Can Apply For This Job Through Online Mode Or Process, Within The Given Time Period. 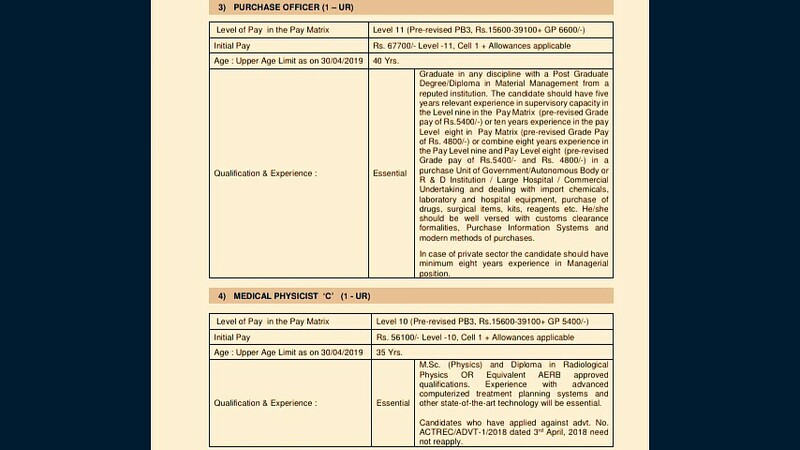 PURCHASE OFFICER (1 – UR). TECHNICIAN ‘A’ ( PUMP OPERATOR) (1 – OBC. 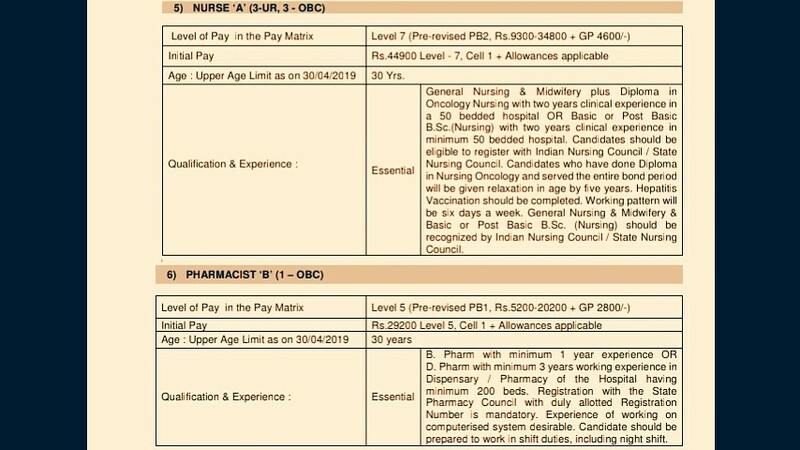 Total Number Of Vacancies →13 Online Vacancy, Kindly Do Check Out The Images Below For, Vacancies dIstribution, Age Limit, Education Qualifications & Experience And Pay Scale. (Credit- The Official Advertisement No. ACTREC/ADVT-A-1/2019). B. 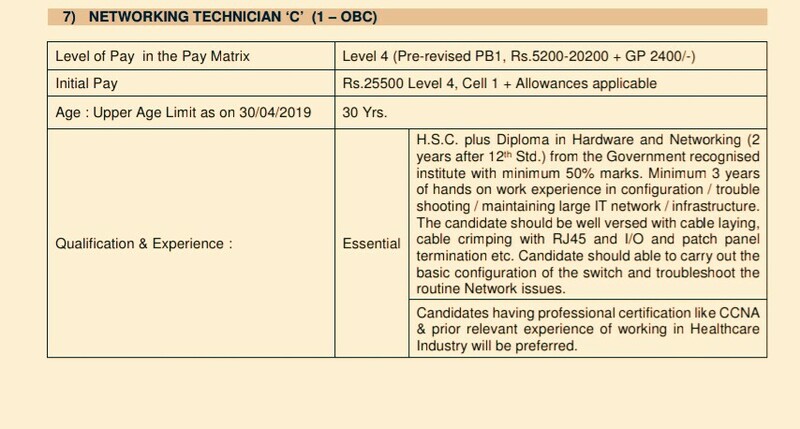 Eligible Criteria For TMC Navi Mumbai Recruitment 2019. Age Limit →Mentioned In The Image's Above. Educational Qualifications →Again Go Through The Image's. Mode Of Examination/Selection Process →Written Exam/Skills Test/Personal Interview. Online Application/Examination Fee →₹300 For Unreserved Candidates And No Fee For Other Reserved Candidate, Mode Of Payment Is Online. 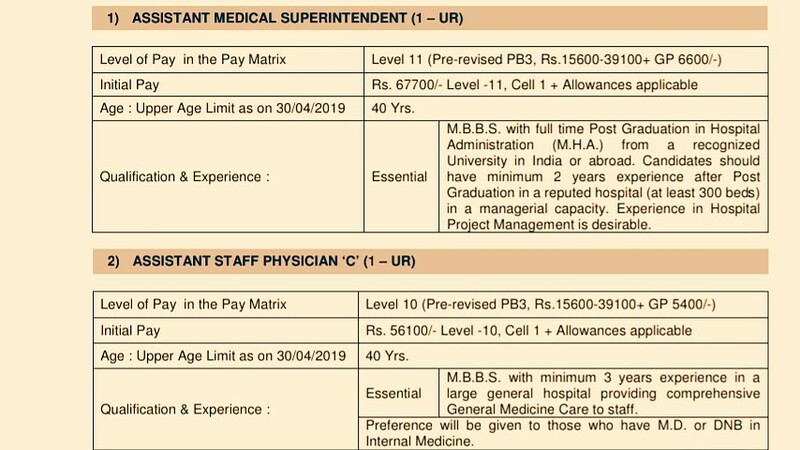 Now Apply For This Job Tata Memorial Centre Recruitment Notification 2019. Click Here Apply Online For Post Number 3 To 8.